Around RM30 billion worth of assets previously handled by state asset management company Menteri Besar Selangor Incorporated (MBI Selangor) is now believed to be parked under a RM2 company Darul Ehsan Investment Group Bhd (DEIG). The two RM1 shares in DEIG are held by two individuals — MBI Selangor group chief executive officer Raja Shahreen Raja Othman and chief operating officer Soffan Affendi Aminuddin — according to latest records at the Companies Commission of Malaysia (CCM) obtained by The Rakyat Post. Such a shareholding is contrary to the stake structure posted on the DEIG website, which shows DEIG to be 100%-owned by MBI Selangor. CCM records show DEIG was registered on June 5 this year, with Raja Shahreen and Soffan appointed directors of the firm on the same date. 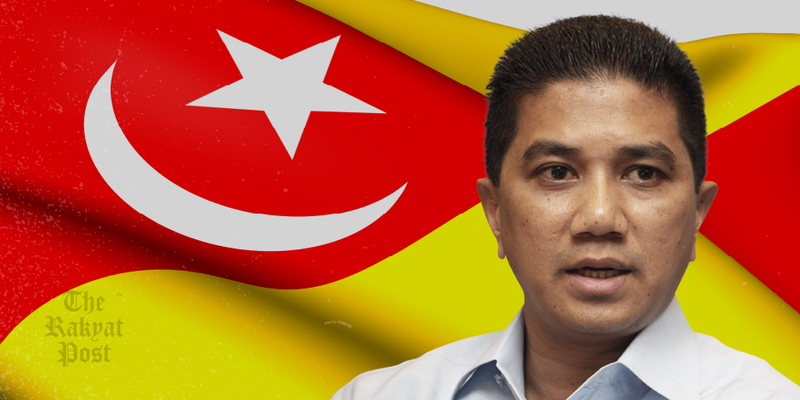 While the DEIG website also names Selangor Menteri Besar Mohamed Azmin Ali, state secretary Datuk Mohammed Khusrin Munawi and state financial officer Datuk Noordin Sulaiman as directors, the CCM records show otherwise. CCM records further show that the nature of DEIG’s business is investment holding — “to purchase for investment or resale, and to traffic in land and house and other property of any tenure, etc”. DEIG is also allowed “to enter into partnership or into any arrangement with any person or company carrying on or engaged in and etc”. Effectively, such a mandate allows the two individuals to deal with Selangor assets without any oversight of the state government — assuming all of MBI Selangor’s assets have actually been transferred to DEIG. If this multi-billion ringgit-valued asset transfer has already taken place, no details are available as to when this occurred. This poser is especially telling and realising this potential pitfall, the Selangor state assembly today agreed to postpone DEIG operations — after concerns were raised during debates — until such an oversight mechanism was created. The assembly passed the Select Committee on Agencies, Statutory Bodies and State Subsidiaries’ (JP-Abas) motion after it was brought up by Hulu Kelang assemblyman Saari Sungib. He had called for the operations of DEIG to be postponed until a mechanism to preserve its accountability and transparency was established. Saari said that he also had proposed for an official presentation on the strategy behind DEIG’s establishment in the form of a White Paper during the next state assembly sitting.